How do we create a healthy environment in a toxic world? Well, there are sooo many categories under that question. But let’s start with EMF’s, shall we? What are EMF’s? EMF stands for Electro Magnetic Frequencies; invisible areas of energy associated with electrical powers and natural forms of energy too. EMF’s are either ionizing or non-ionizing. Non-ionizing is low level radiation whereas ionizing are high level radiation, like x-rays and cat scans. These energies are measured in wavelengths or frequencies on an electromagnetic spectrum. So how do we determine the range of wavelengths? ( I know, I know, THAT was your next question.) Maybe we’ll save that for another, more scientific day. I want to talk about the newest, latest and greatest 5G technology. It’s the fifth generation. We had 2G, then 3G, then, what we have now, 4G. Remember the little cell phone man, “can you hear me now?”. That is when we moved from 3G to 4G. It was in an effort for us to have faster, better cell phone coverage - less dropped calls, better reception, you get the point. We are quietly, but consistently and actually aggressively moving to 5G. What this means is that, yes, we will have faster speeds, more reliable connections, but at what cost to human health? This will increase our exposure to more electromagnetic fields. They are higher frequency waves which have a more difficult time traveling over distances and dense objects, so there will be a need for more cell stations on buildings, especially in urban areas. Concern for 5G is that these wavelengths may have the ability to penetrate into the tissues of the body and could pose adverse health effects. 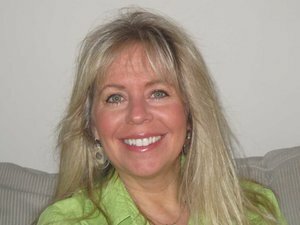 Upon discovering colon hydrotherapy at age 28, in Boston at Market Street Health, Pam began her journey into wellness. In 1998, she opened Cape Colon Hydrotherapy and has been helping clients of all ages achieve a healthy colon lifestyle. Now with almost 20 years experience as a practicing colon hydrotherapist, she can comfortably and effectively offer this service right here on Cape Cod.